Ambiente Blog • A home to your taste. There are no limits to the imagination you can use in interior design. You might like striking colours on the walls, luxurious feature wallpapers, furniture as an artistic arrangement, or just minimal, clean lines. In 2017, the focus is on teasing out the special features of every room. 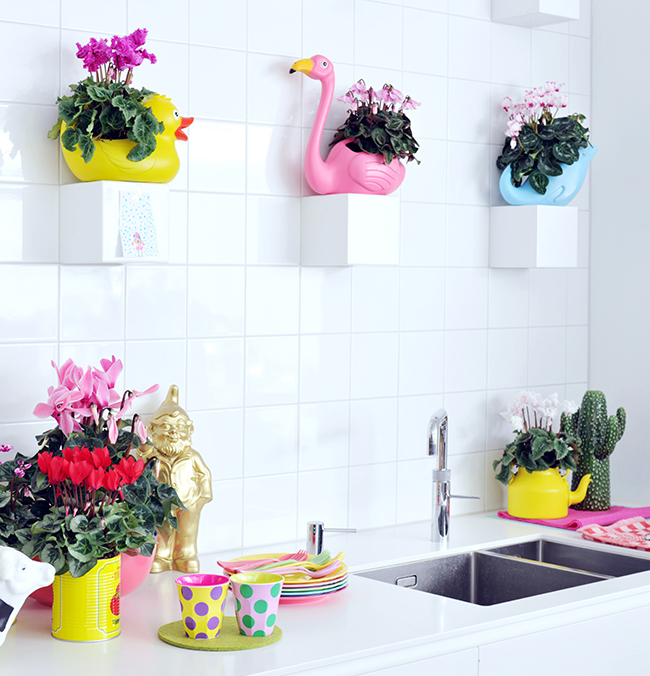 And there’s one aspect you should never overlook: flowers and plants. Not only are they attractive, but they also impact immediately on our psyche. 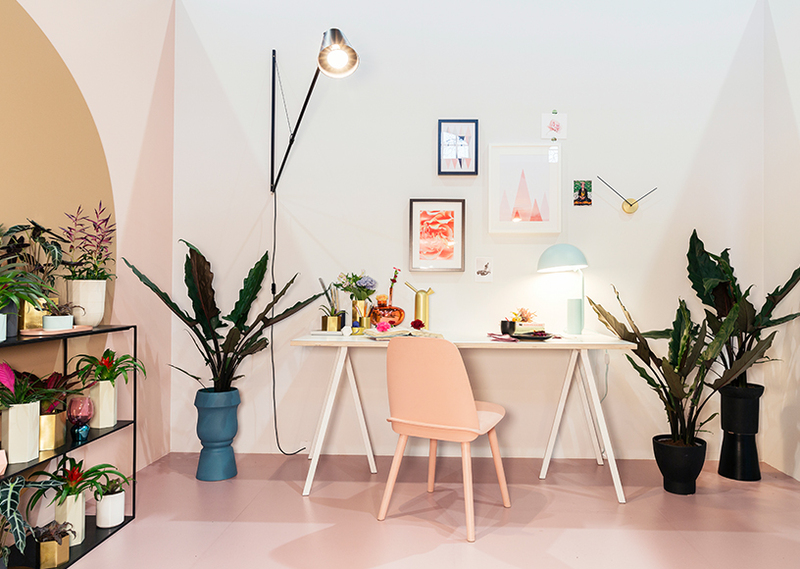 We dissect the four main trends – Energise, Harmonise, Rebel and Equalise. They say our homes reflect our personalities. Interior designers have known this for some time. The colours used are just as important as the combination of furniture and accessories. A clever mix of materials is key: organic sits side by side with artificial. This will give your home something special, and stimulate the senses. 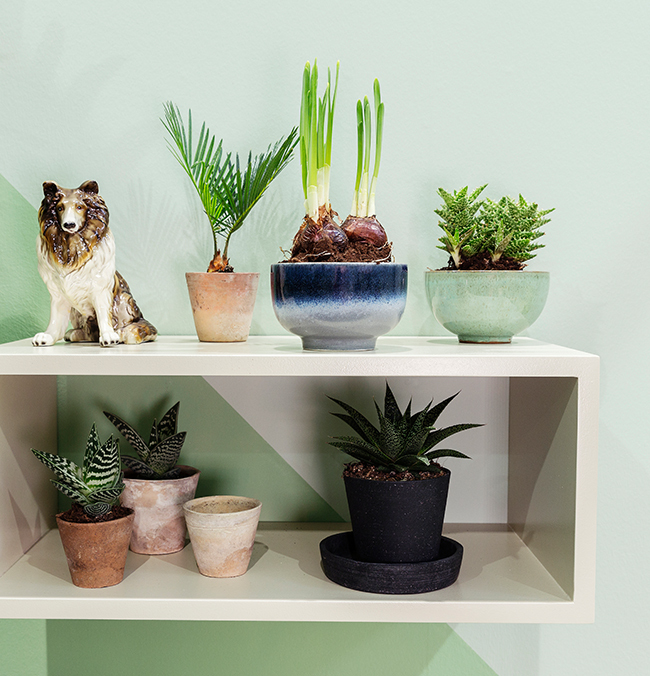 Plants in particular are an excellent complement to any interior, whether you go for minimal greenery or opulent and colourful foliage. 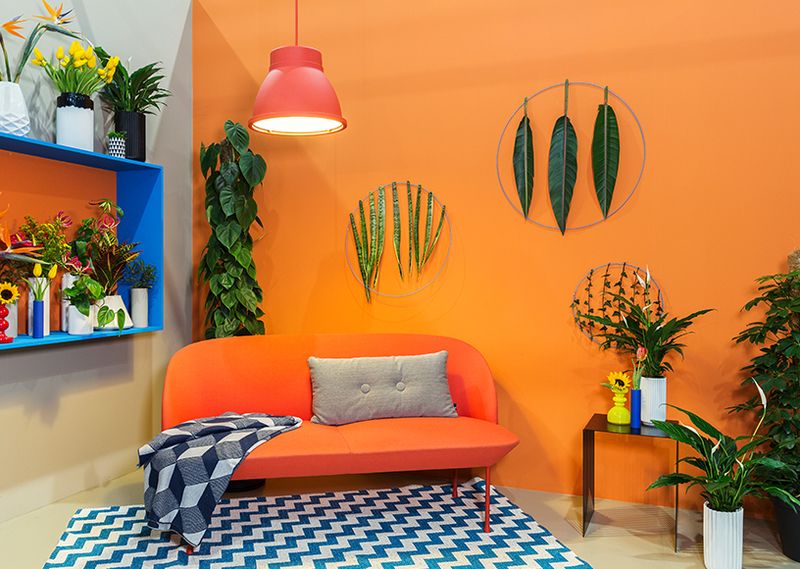 The key is in the name of this trend: stimulating shapes and colours transform your living space into a motivational oasis which nourishes you with new energy and joie de vivre. This is a perfect blend of luxurious private spa and exercise area. A targeted play of contrasts stimulates the spirit. Generous areas of colour meet havens of peace; graphic elements and grid structures are broken up by playful elements and rounded edges. The materials used are as varied as they are practical. Metal, plastic, shiny ceramics, fine marble and functional materials all form part of this trend. Geometric shapes and patterns like circles, spots and dashes provide a point of interest. Honeycomb structures and 3D effects underscore the idea of space in constant motion. 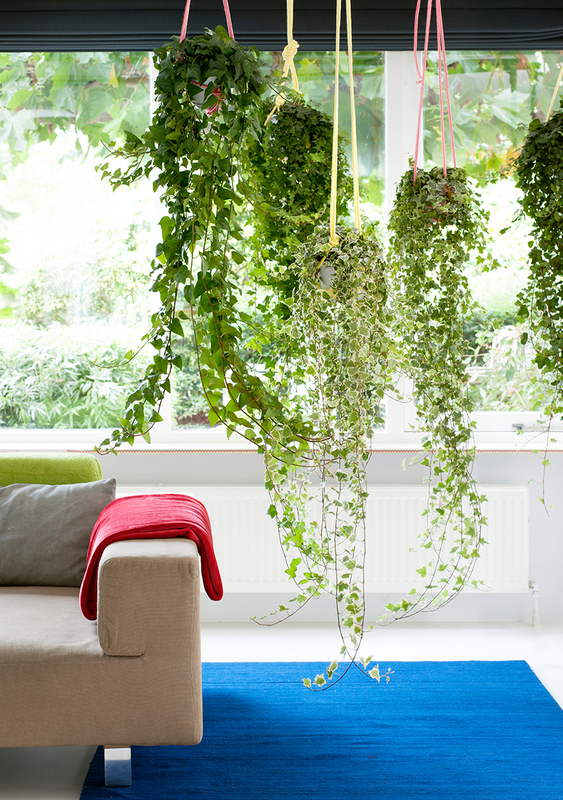 In between these, the deep green of exotic plant leaves provides a real power boost. 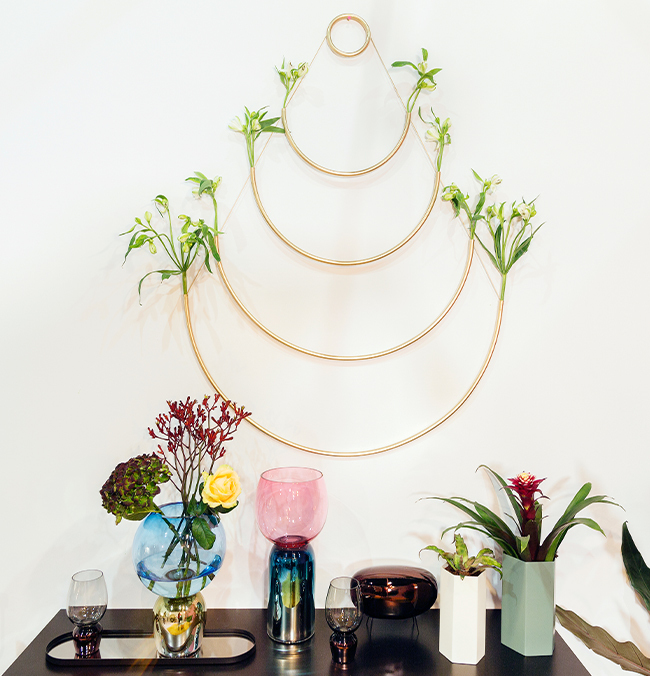 Tropical bananas are at home here, as are perennial fern arums and refreshing plants such as peace lilies and bowstring hemp. Cut flowers also have their place, bringing graceful petals and intense colour hits: think tulips, glory lilies and sunflowers. For a small harvest from your windowsill, try tasty fruits, especially berries. In an increasingly chaotic world, our need for authenticity and security has grown. This is often accompanied by a fascination with and focus on nature. That’s where the Harmonise trend finds its inspiration: its interiors are verdant, vivacious and alive with the healing power of nature. It’s a trend that digs out stone, semi-precious stones and wood to work with. These combine with other organic materials like paper, enamel, reeds and leather to create a contrasting yet harmonious whole. There’s no use looking for straight lines here – there are none. The furniture and decor are irregular or asymmetrical, as if they’d simply grown that way. Glass bottles and other transparent containers offer an opportunity to grow biotopes. These small gardens and ecosystems showcase plant growth and strengthen our ties to the natural world. This is also a trend that sparks the senses with fragrance and colour. At its heart lie fine, fresh flowers and plants which radiate rural charm: ranunculus, hyacinths, clerodendrum and ceropegia all stand for peace and relaxation. Seductive scents from jasmine, Amazon lily and freesia provide inspiration and sensory stimulus. Dried flowers are also experiencing a revival. The Rebel trend is abstract, crazy and playful – a brightly-coloured movement to resist all that’s dull and routine. While we circle our everyday lives with ‘to do’ lists, commuting back and forth, we needn’t constrain our homes that way. 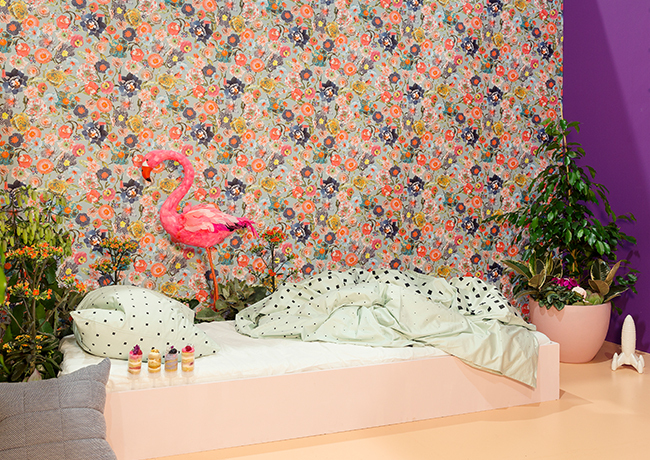 Intense pinks, oranges and yellows combine with an abstract mix of patterns and a wide variety of plants and flowers in a rebel alliance against design conventions and for a fun alternative. Unfinished and natural materials bounce off plastics and synthetics. This trend makes unexpected alliances of curves, zigzags, botanic prints and real floral elements to elicit a unique interior. The cheekier and wilder the mixture, the better. There’s no right or wrong way to do this: anything goes. 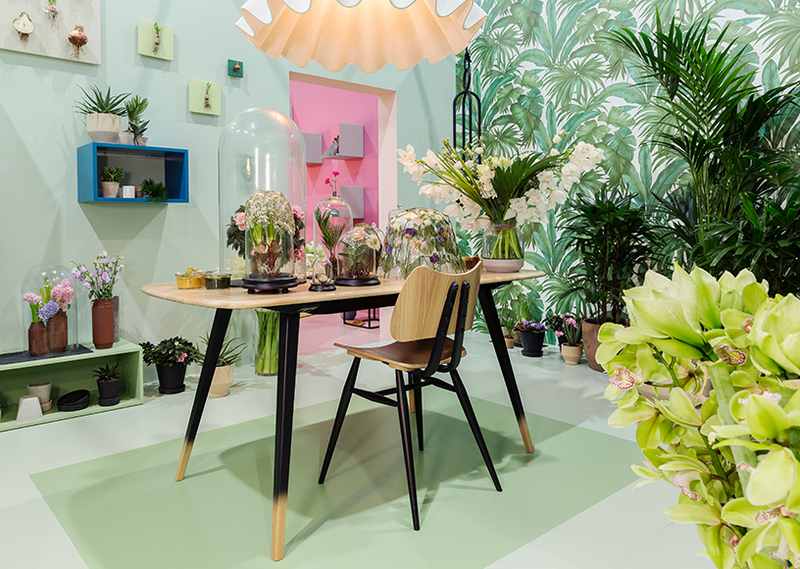 The flowers and flowering plants should stand out as much as, if not more than, the interior itself. 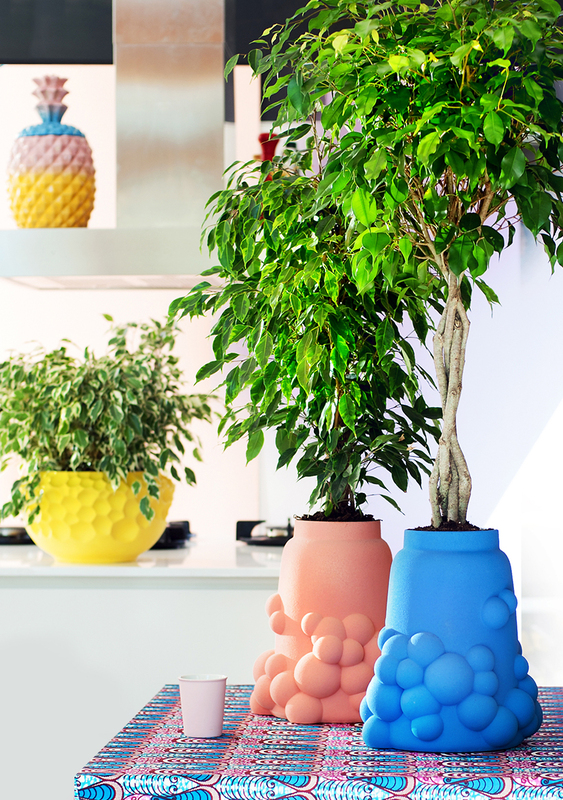 Varied leaf structures and brightly coloured petals introduce a light-hearted element to the exuberant mix. 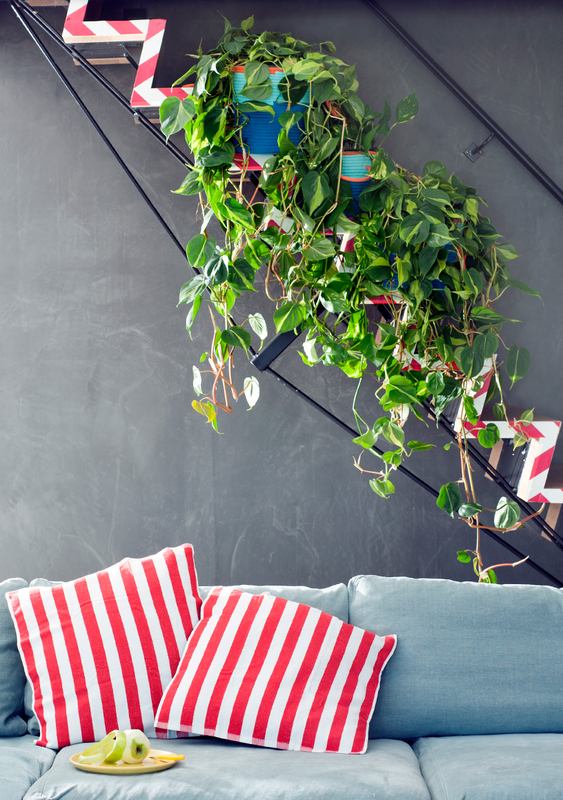 In terms of larger house plants, something like the Benjamin tree can be the focal point of an indoor jungle when combined with other plants such as kalanchoe or cyclamen. 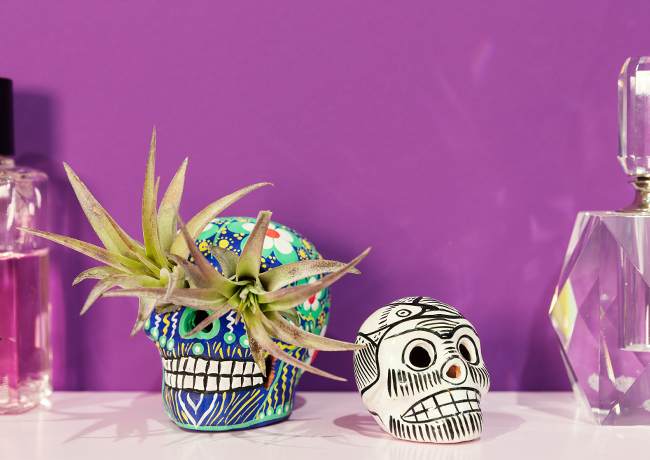 Or you could big up the botanical atmosphere with miniature plant varieties with their own distinctive look such as small cacti, echeveria and tillandsia. Chrysanthemums, delphiniums, lilacs and gerbera in various colours can take a bright interior concept to the next spectacular level. The Equalise trend will emancipate your interior with a harmonious combination of contrasts. Materials may vary: these unusual combinations create a balanced space. Decorative, flower-print and other patterned wallpapers are teamed with minimalist, graphic designs; matte and shiny surfaces are often found on the same object. When choosing shapes for this trend, an interplay of soft and hard is key. The contrasts are also reflected in the colours. Bold, clear elements are kept in romantic violet, rose or pink. Rounded, elegant items are often a simple grey, blue or black, or combined with metallic tones. 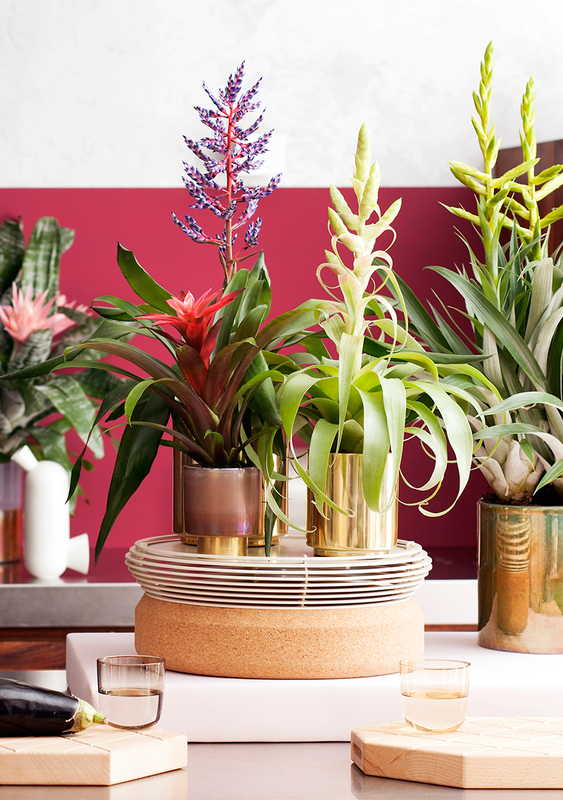 This mix of masculine and feminine continues with the plants. 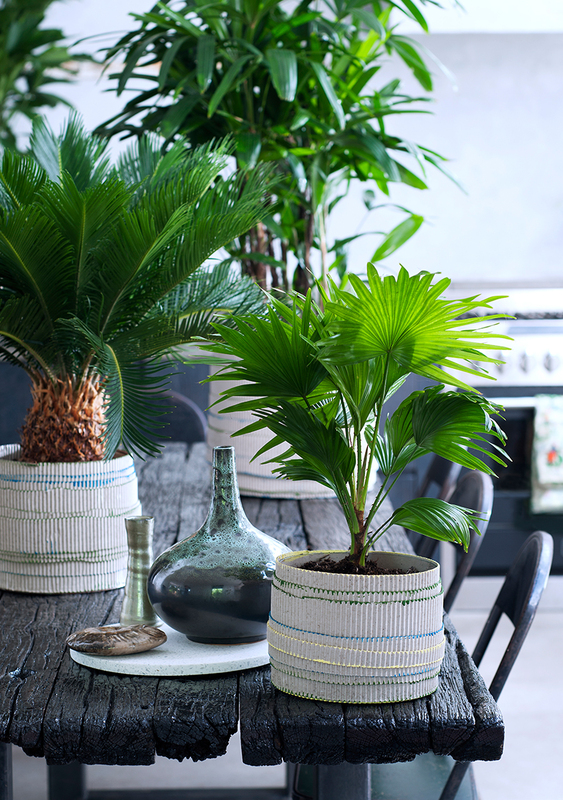 Hardy plants such as calatheas and Portulacaria afra rub shoulders with delicate, decorative arrangements of flowers such as bromeliads and chrysanthemums. This makes for welcoming rooms that are neither too sober nor too effusive.